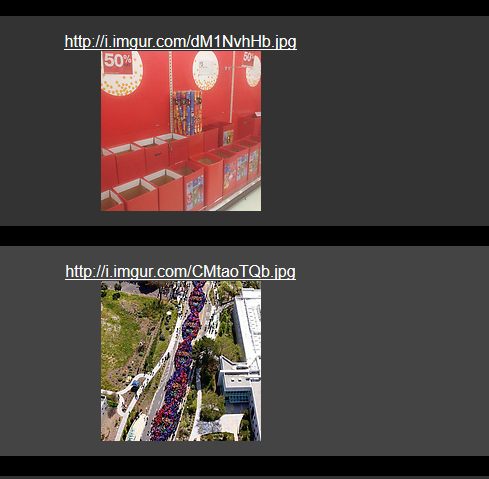 When browsing image rich websites like imgur.com, tumblr.com and so on, it can be inconvenient to open images in new tab manually to view and download. img2tab for Firefox does just that. It will look for images on a given webpage (direct images or linked images) and then offer a choice of opening these images either in a single tab or in multiple tabs. After installation, simply right click on a webpage and a new menu “img2tab” will appear with the specific options. Choosing “Actual Images(single tab)” or “Linked Images (single tab)” is preferred as it will load all the images in one single tab. 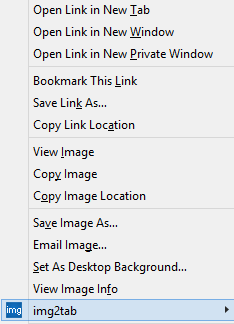 The other options of “Actual Images” and “Linked Images” will open a lot of tabs but before doing that, a notification regarding the same will pop-up. This add-on comes in handy when a lot of images need to be viewed and downloaded quickly without wanting to open them manually in separate tabs.